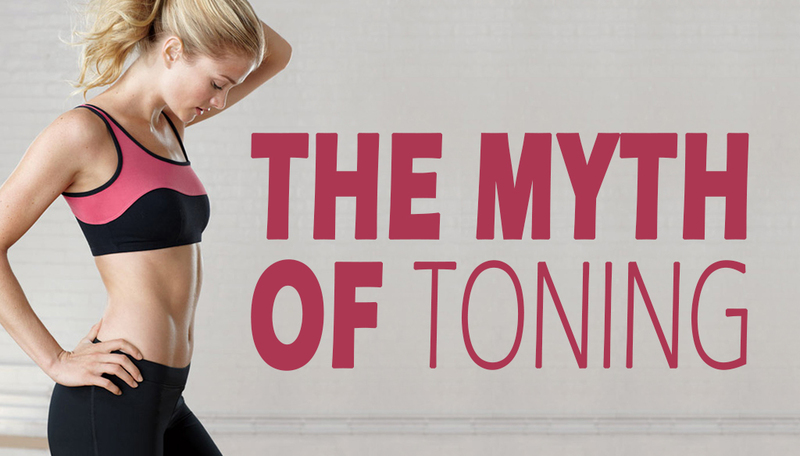 In actuality, there’s no such thing as toned muscle. Muscles don’t get harder or softer – they get larger or smaller. When exercisers attempt to achieve the “toning” effect, they often mistakenly opt for light resistance and a high number of repetitions. Though this strategy is great for increasing endurance, it doesn’t result in the larger muscles or decreases in fat that are required to achieve the look of toning. To build larger muscles, exercisers should select relatively heavy weights and train for 8 – 10 repetitions. On the last rep, muscles should be approaching failure. On subsequent workouts, increase the amount of resistance used (i.e., go from 30 pound weights to 35 and then 40…). Furthermore, muscle growth must be supported by a proper diet with plenty of protein. Here are more tips for gaining muscle mass. And don’t worry about getting too big. When you’re muscles are big enough, you can stop increasing the amount of resistance you’re using and switch to maintenance.